Its film Friday again, I didnt have one last week as I was in Cornwall, however I did Captain Barnacles from the Octonauts the other day so he made up for it. 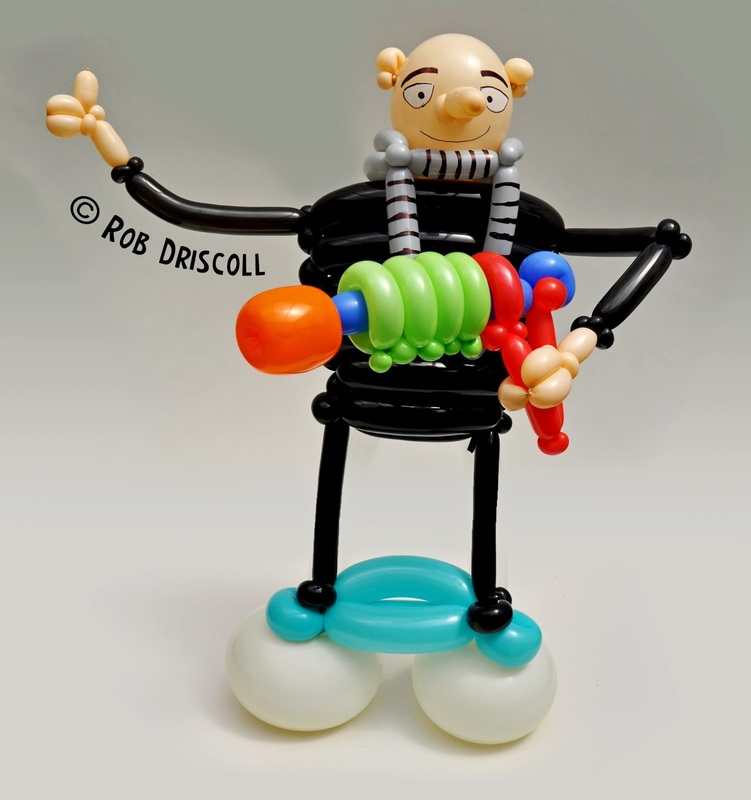 This week we have Gru from Despicable Me, as you can see he has his latest gun invention with him, lets call it the balloononitator. Gru and his gun are made from 18 balloons, mainly black 260s for the body, some 160s for parts of the gun and arms and legs, he has a round balloon for his head and there is a 350 in there somewhere too.